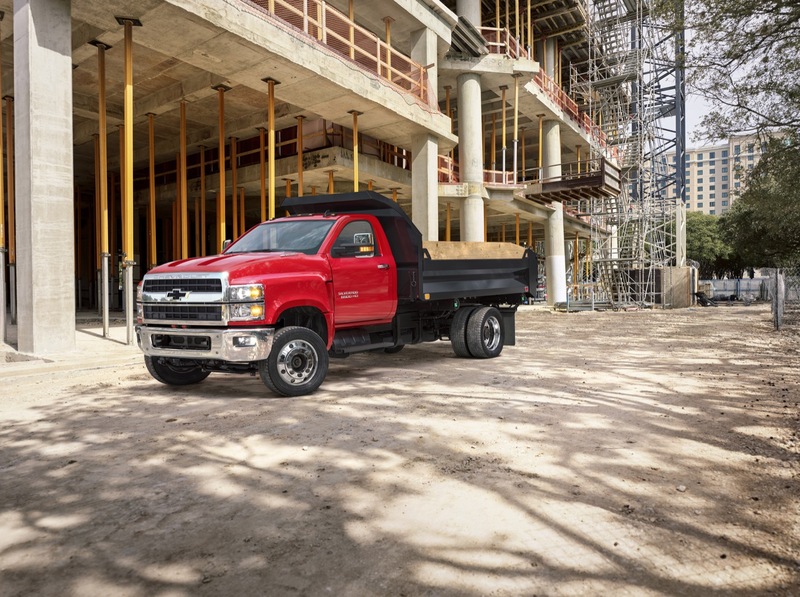 Currently, the new 2019 Chevrolet Silverado Medium Duty is offered exclusively as a chassis cab. This means that the trucks come from the factory with exposed frame rails, enabling the upfitter to modify the truck to the needs of the consumer, whether it be an ambulance, dump truck, utility vehicle, recreation vehicle, or a myriad of other potential applications. 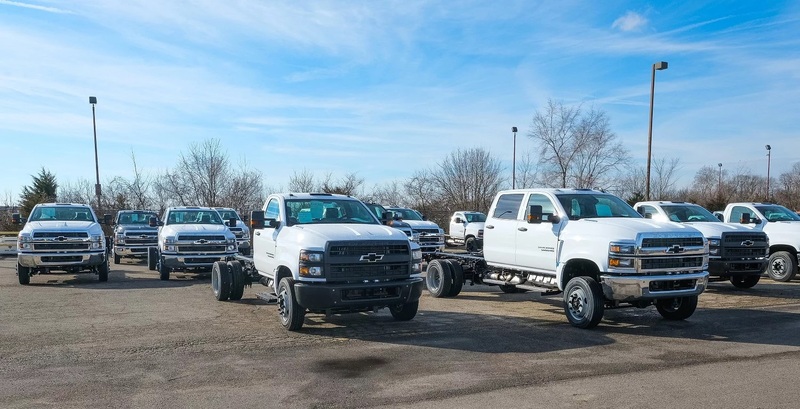 The fact that the Silverado 4500HD, 5500HD, and 6500 HD Chassis Cabs can shoulder heavy loads and be upfitted for any imaginable business need is a major plus. 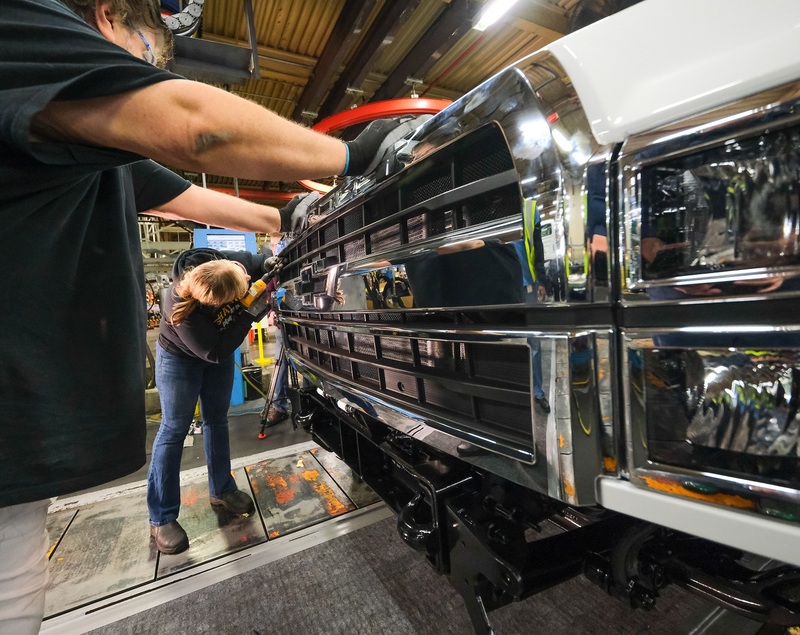 At the same time, though, some customers might be significantly more interested in getting a truck with a bed straight from the factory. 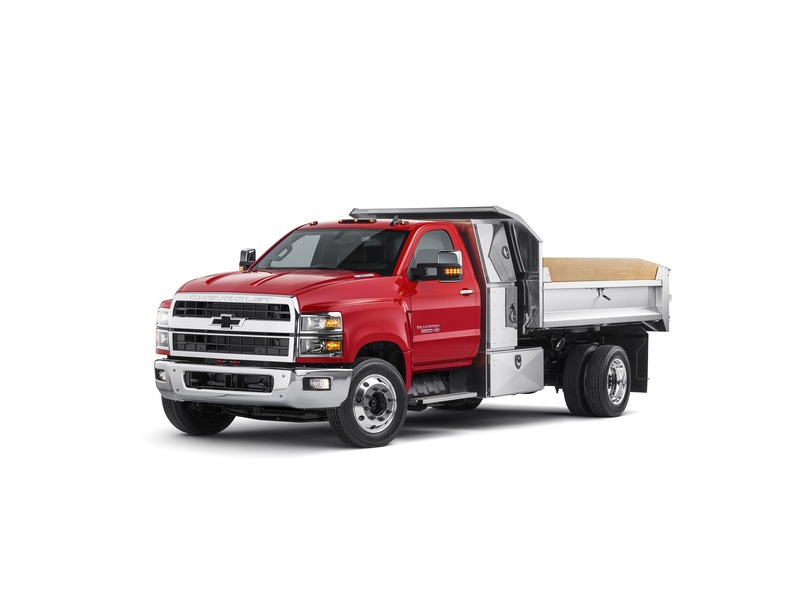 In fact, a factory bed option could be very attractive to those who want to own the biggest, most capable Chevy truck that money can buy. 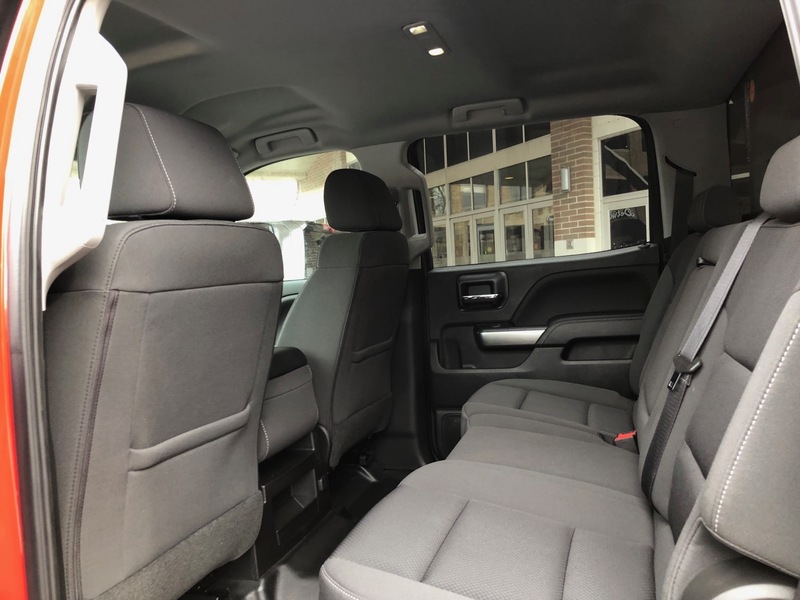 2019 Chevrolet Silverado Medium Duty currently does not offer a factory bed option. 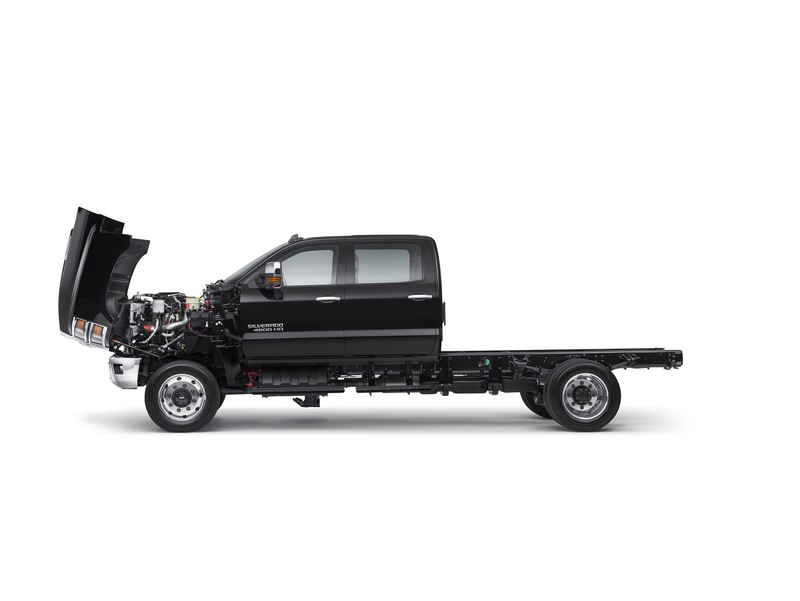 Instead, it only comes in the Chassis Cab configuration pictured here. 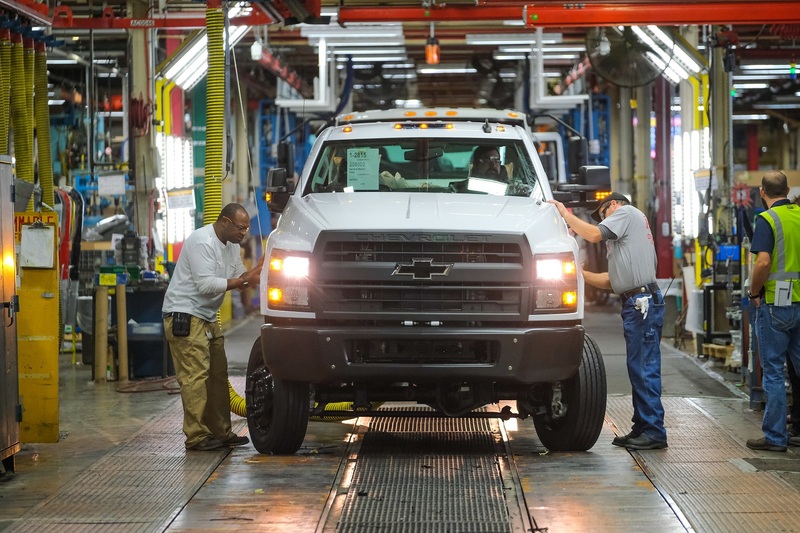 As such, offering a factory-installed bed on the new Silverado Medium Duty line means that the buyer would not have to make an extra trip to an upfitter, while also providing GM/Chevrolet with an opportunity to charge a bit more for the truck, thereby making it a more lucrative venture. 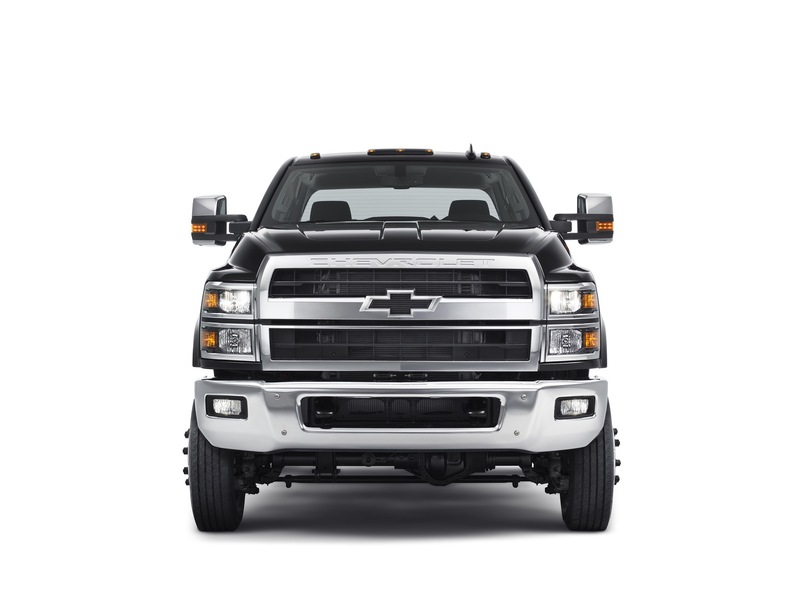 And so we ask you: should Chevy offer the new Silverado MD with a factory bed option? Vote in our poll below and make your opinion heard in the comments section. 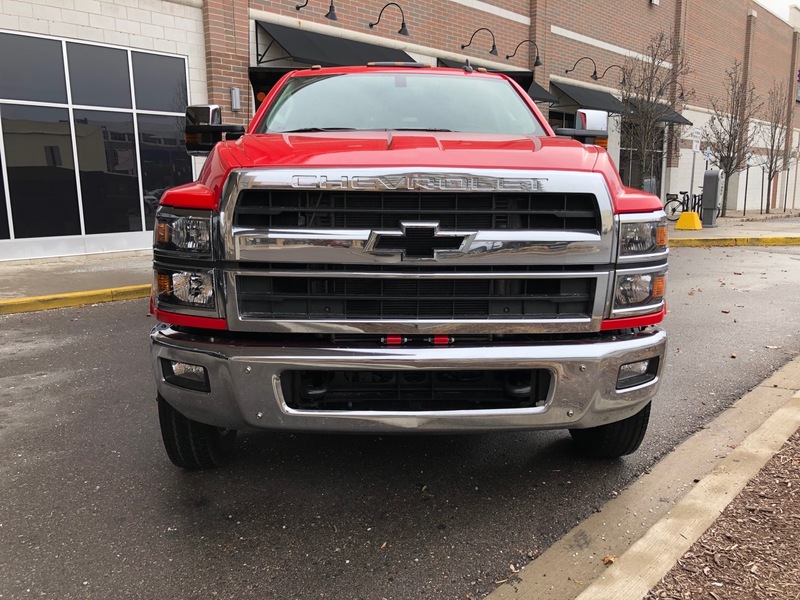 The Chevrolet Silverado Medium Duty line (also known as the Silverado Chassis Cab) is comprised of the 2019 Silverado 4500HD, Silverado 5500HD, and Silverado 6500HD. 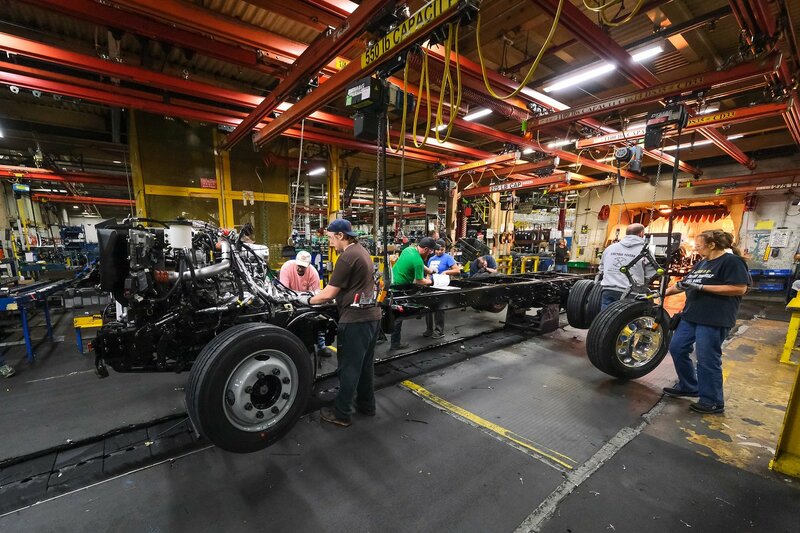 The range was co-developed by General Motors and Navistar and is assembled by Navistar at its Springfield Assembly plant in Ohio. 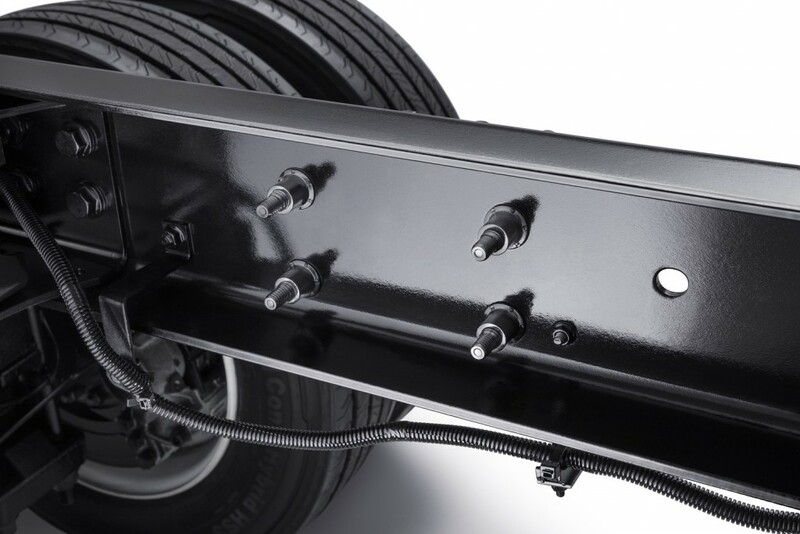 In fact, ever aspect of these trucks was designed for three purposes: capability, ease of use, and easy maintenance. 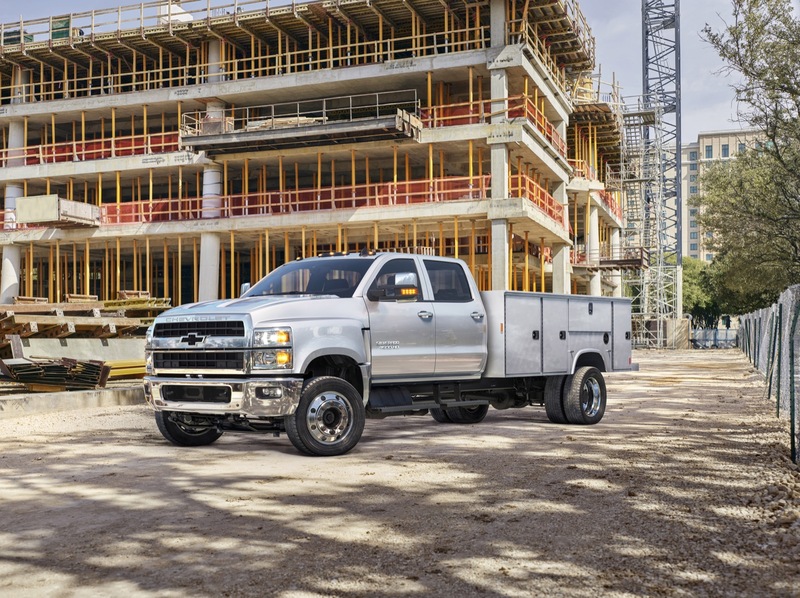 Chevrolet boasts that the all-new Silverado Medium Duty Chassis Cabs provide a strong and capable structure for any needs. The robust single-piece frame rail delivers the utmost durability, while the wide range of cab-to-axle offerings make way for a significant amount of upfits. No protruding welds or brackets on the frame, otherwise known as a clean top of rail design, makes upfitting easier. 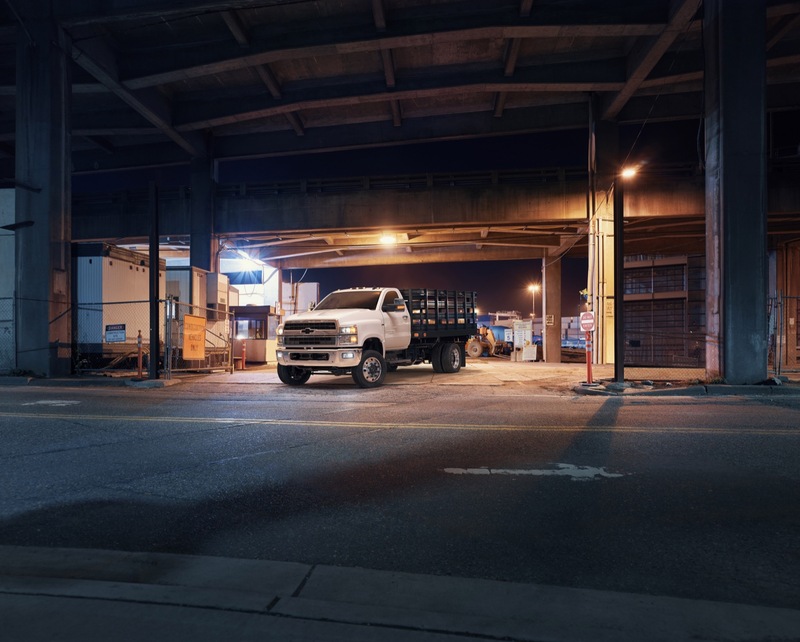 The Silverado Medium Duty Chassis Cabs are powered by the Duramax 6.6L turbo-diesel V8 L5D engine mated to a wide gamut of available transmissions. 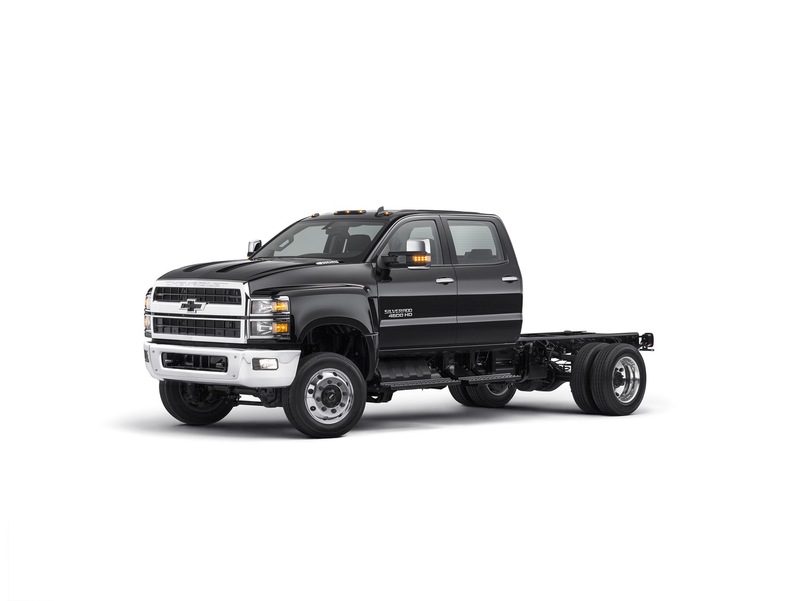 The trucks also offer an impressive turning radius for superior maneuverability. 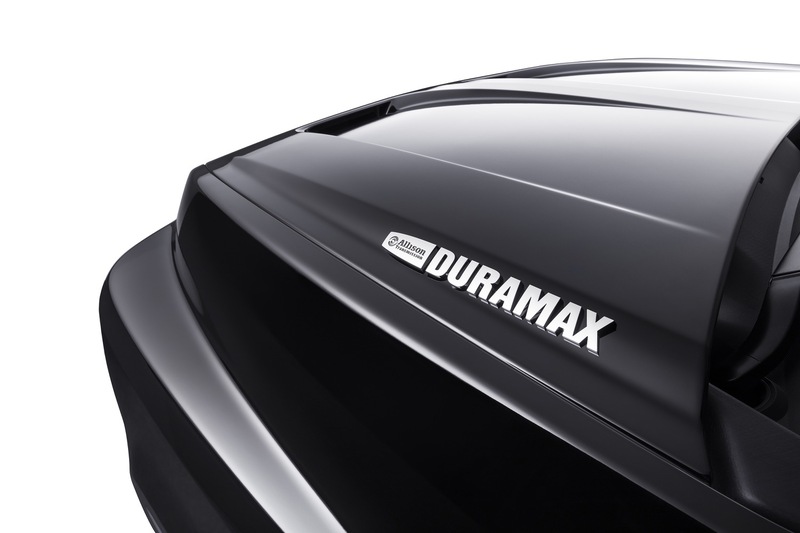 Unique features like flowtie – the Chevy Bow Tie emblem with the middle portion removed – were specifically utilized to enhance performance and increase the models’ cooling efficiency. 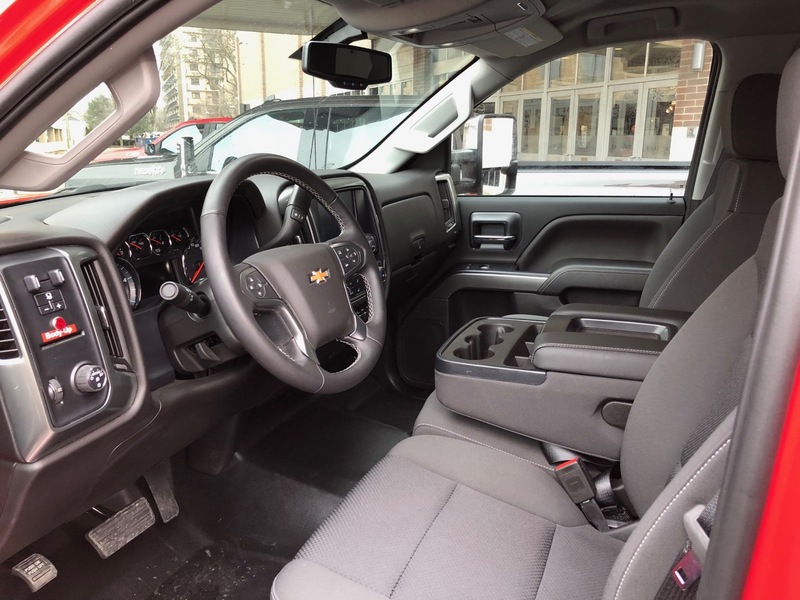 The Silverado Medium Duty line also includes a comfortable and tech-laden interior. 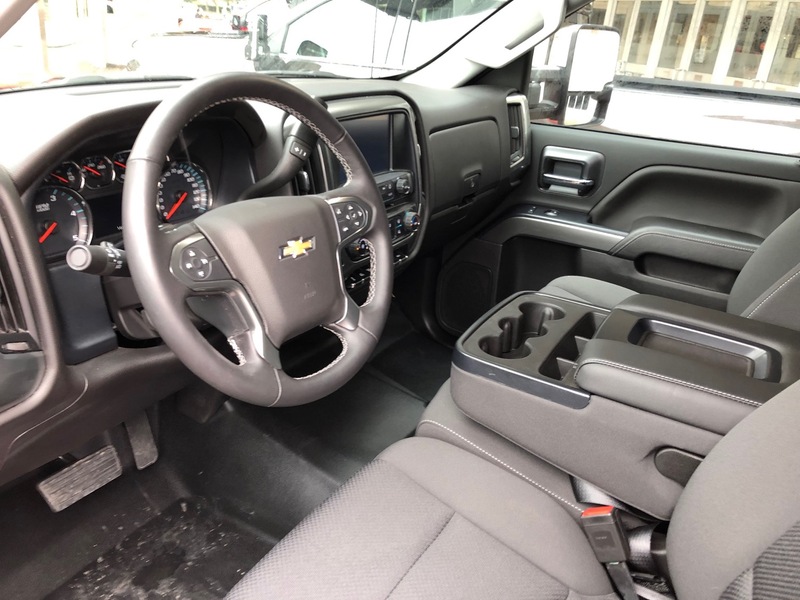 In fact, the interiors identical to those of the K2 platform Silverado HD. 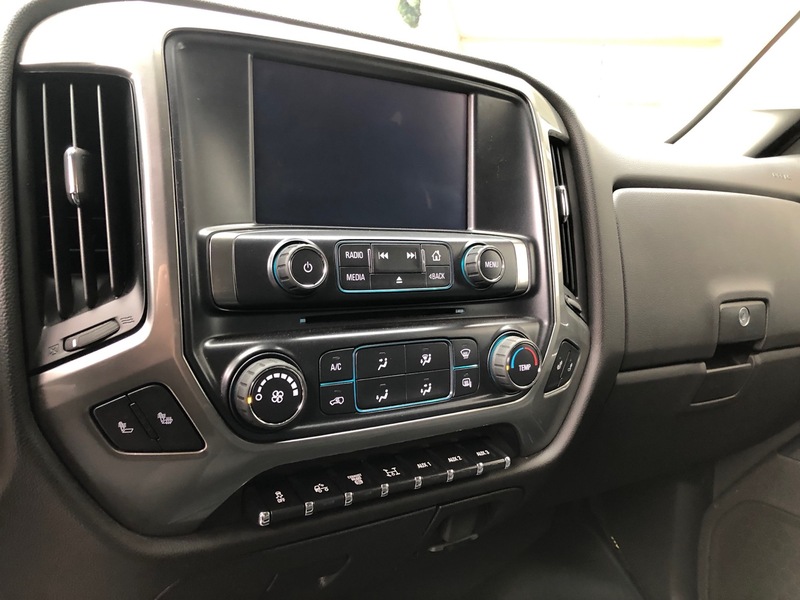 Triple-sealed doors help reduce outside road noise and deliver a quiet cabin, while easy-to-reach buttons and ten customizable aux switches translate to ease-of-use. 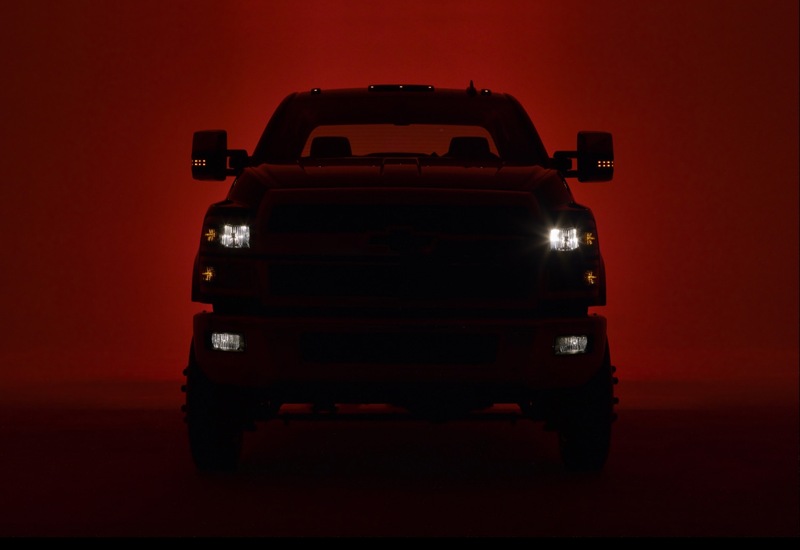 Stay tuned to GM Authority for more Chevy Silverado news and Silverado Medium Duty news. I guarantee these trucks will be the foundation for many extreme SEMA builds. I can totally see the Diesel Brothers building one of these. 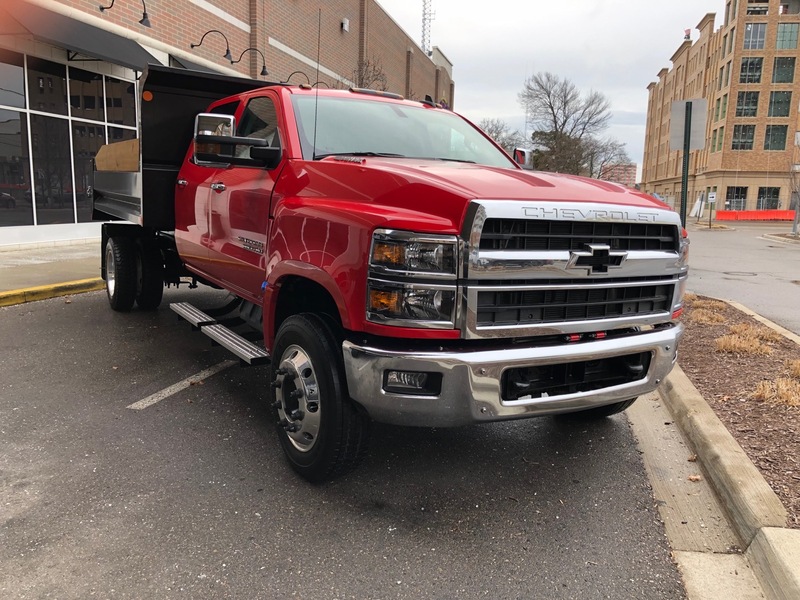 IMO it makes perfect business sense to offer the dually bed option. If the dealership knows what they are doing they’ll add beds from an outside company. My dealership is doing that. Absolutely there should be a standard dually bed option. 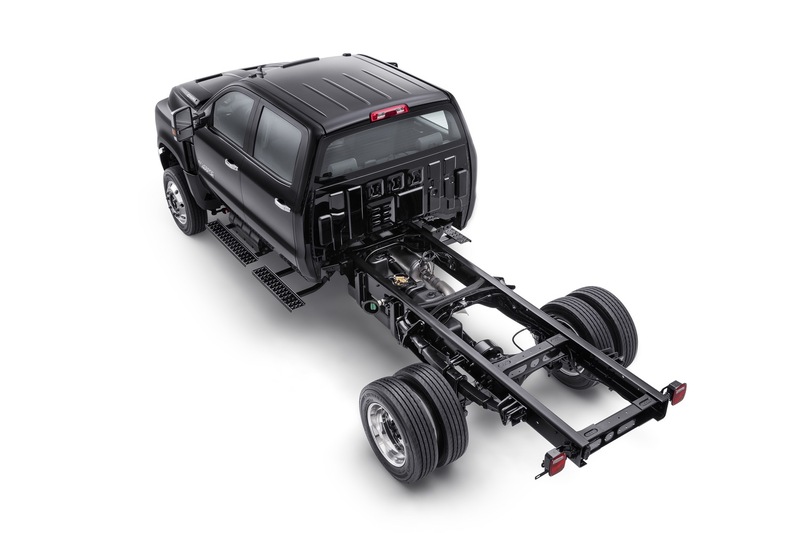 That would get messy with the straight frame on this truck, the standard silvy bed would not line up with the cab right without big standoffs. I’d expect most of these that get sold for personal use will get a 5th wheel body on the back anyway and haul horses/cars etc. Yes, with a 10′ box for a good size pickup camper. The great American commuter vehicle and grocery getter. Plenty of room for your slurpee and obese friends and family. In these daze o SUV’s and supersized everything it would be a hit. If chevy don’t some will .it will be stupid if they don’t ! Yes, GM should. But, they won’t. GM has been a day late and a dollar short for years. 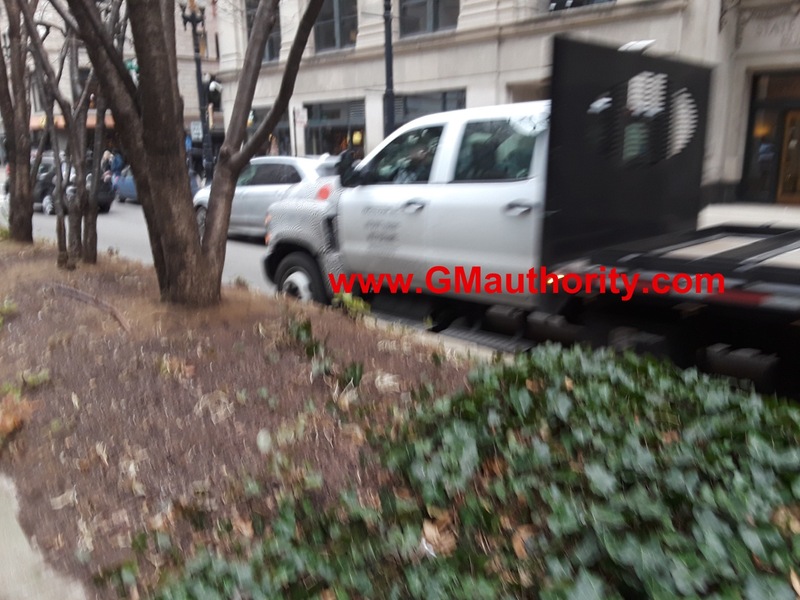 Ford and Ram are eating GM for lunch. If only SOMEONE at GM was a Truck Person again. 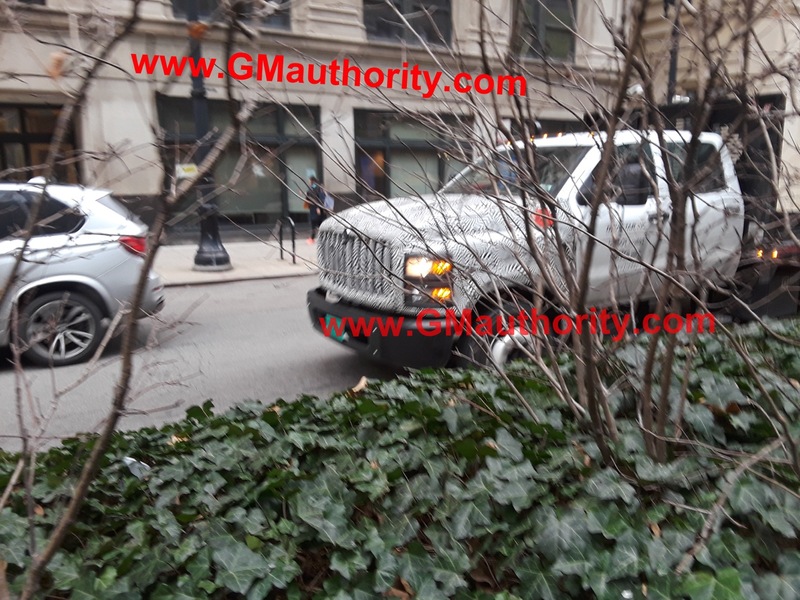 The way “Trucks” are built to too be more like cars now, is driving REAL truck owners away from GM. 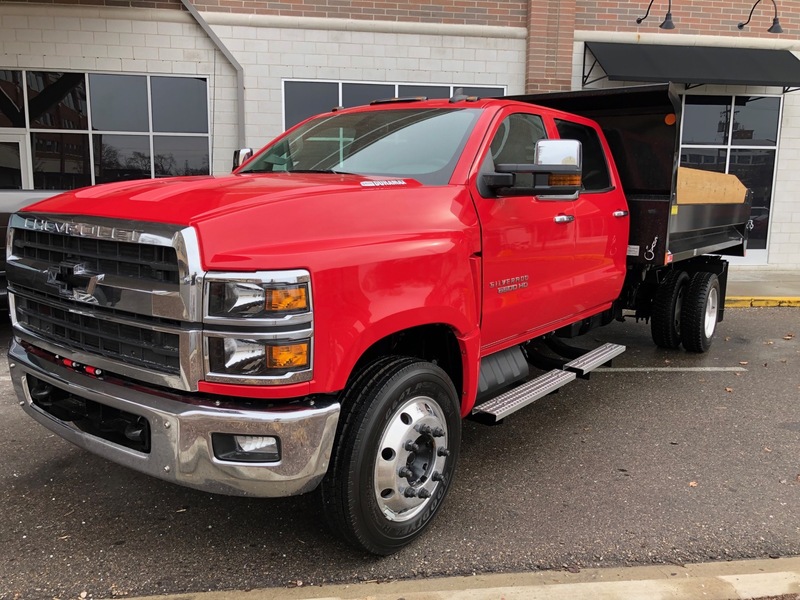 The dealerships might put boxes on them, but the wheelbase does not lend itself to a “normal” pick up box configuration. We can only dream. 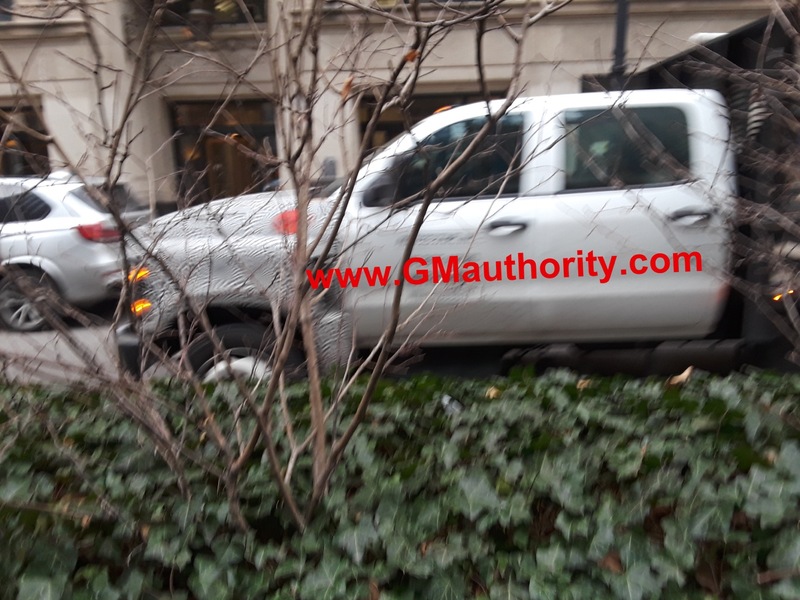 GM not interested in niche market. They consider sedans niche market. Short bed single cabs. 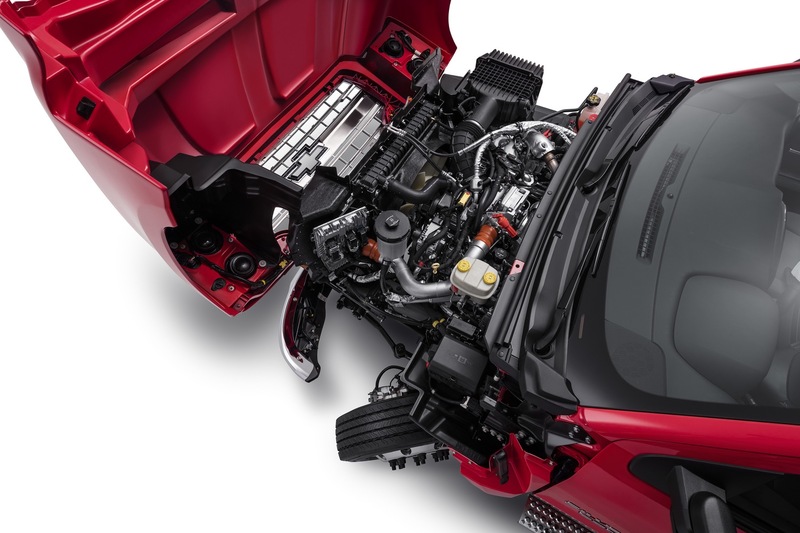 GM only wants volume and a factory bed would not be volume enough. 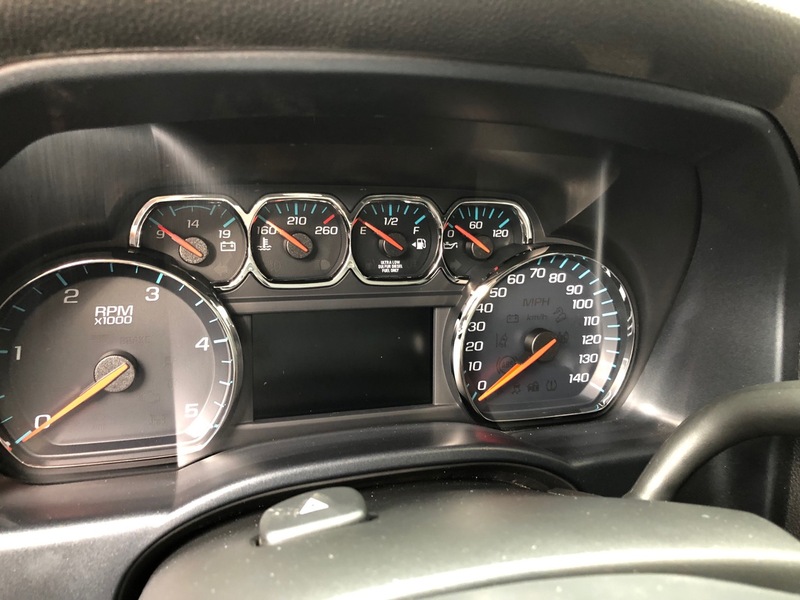 I can’t see a 4500 with an 8’ bed outselling a single cab short bed or a Chevy impala and they axed those so. Yeah dream about it. 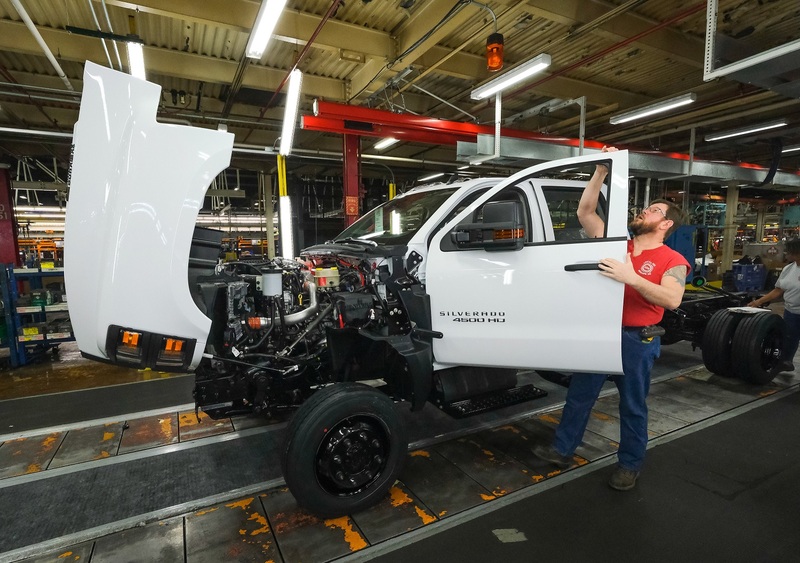 Lucky they are even building a medium duty again, and that’s if people buy it Ram 5500 is a serious contender and a new Ford 650 is due and will surely arrive within the next few years. 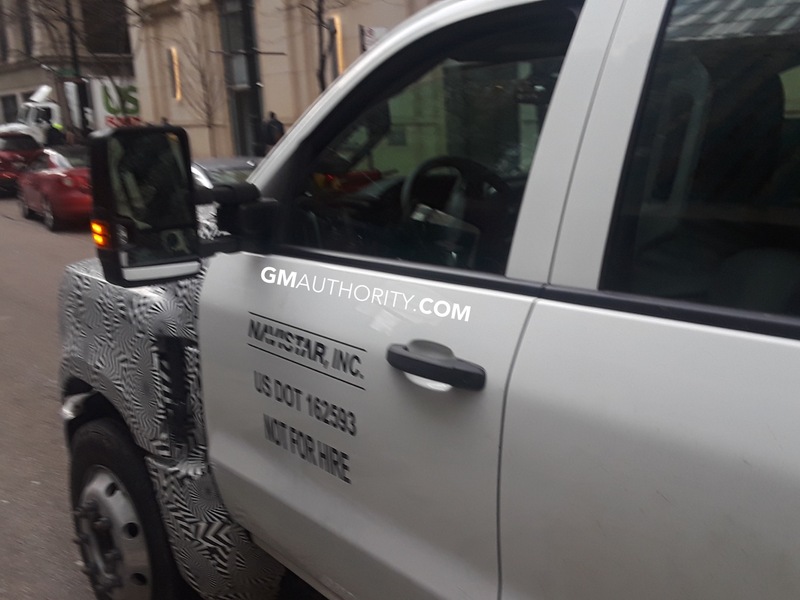 I would give it a year after it hits the dealership floor and the Pick Up Bed option should be an “Available” feature for this truck, if not GM, there will be an aftermarket business that has the expertise to make this happen. I am waiting for GMC. Version. 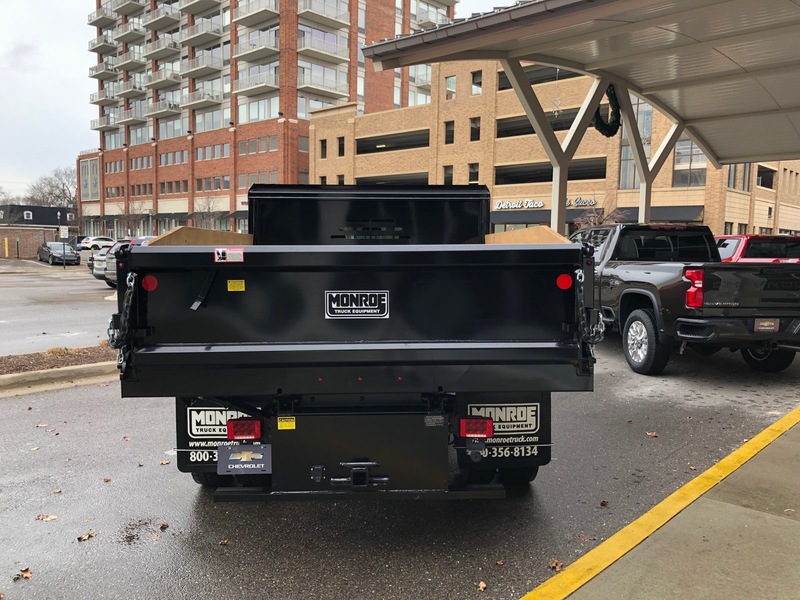 Monroe Truck Equipment most assuredly will, just like they did with the Kodiak and Colorado. 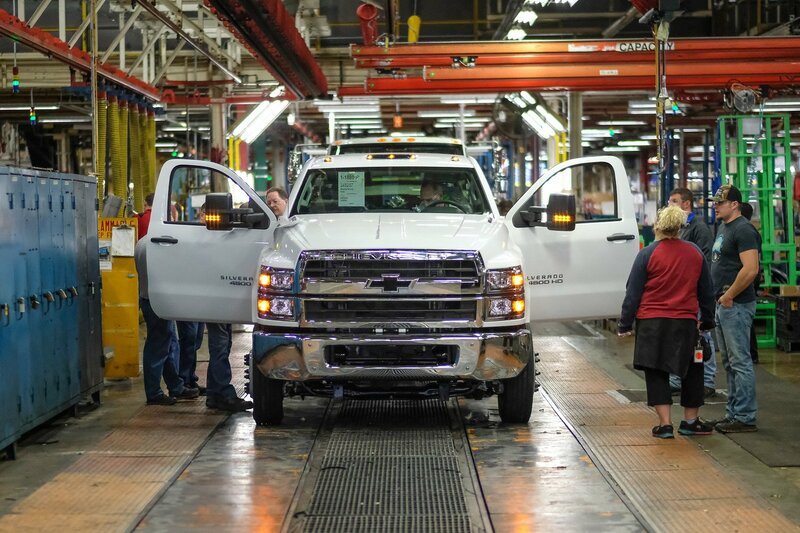 Too small a demand for GM to worry about. I am sure Monroe Truck Equipment will, just as they did for the old Kodiak and TopKick. 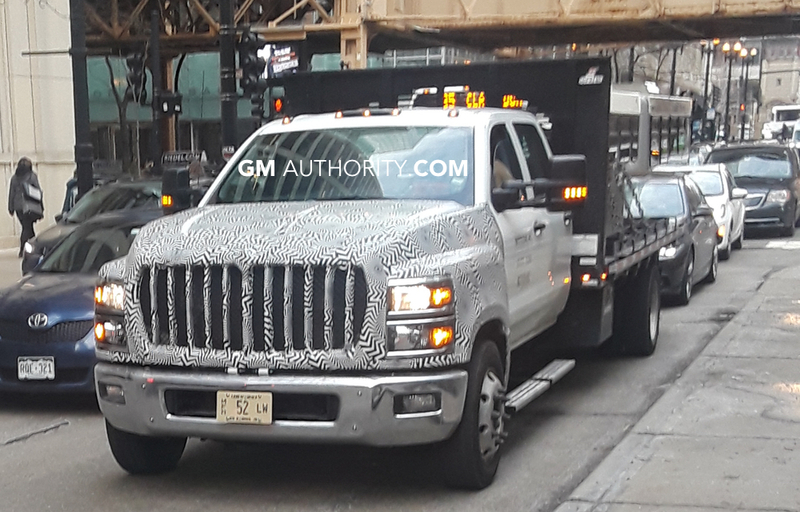 Too small a market for a pickup truck of that size for GM to spend resources on. 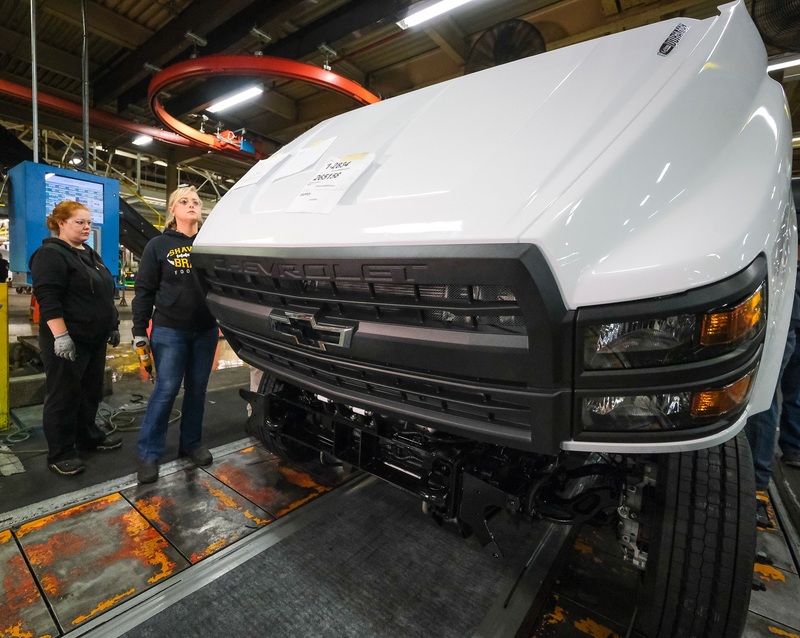 I have spoke with Monroe Truck Equipment and has of now they are not making plans on fabricating a bed for the new Medium Duty lineup. 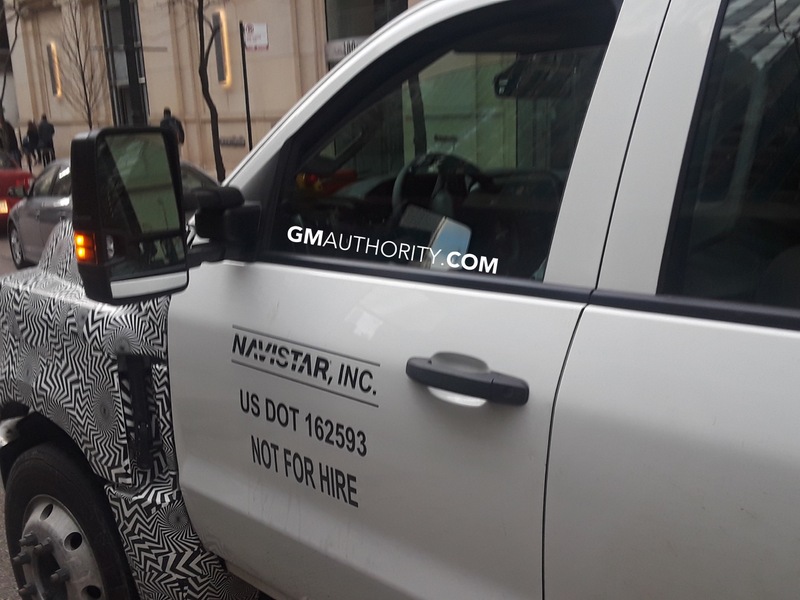 The only thing I fear with a GMC version of the 4500 – 6500 HD’s is that it will become a Badge -Engineered Version of the Navistar and Silverado Medium Duty Trucks, I truly would not want to see too many Cloned “Copy-Cats” with different badges on the grilles marching into the Fleet Market, as we know, GM was notorious for doing that decades ago, especially from the 80’s and further back. If GMC truly wants to distance itself from the Sillverado on this level, they could use the Chassis as the foundation, but the Sheetmetal (based on cab design) would have to take a major departure from what has just been introduced to the public; that truck needs It’s own identity. 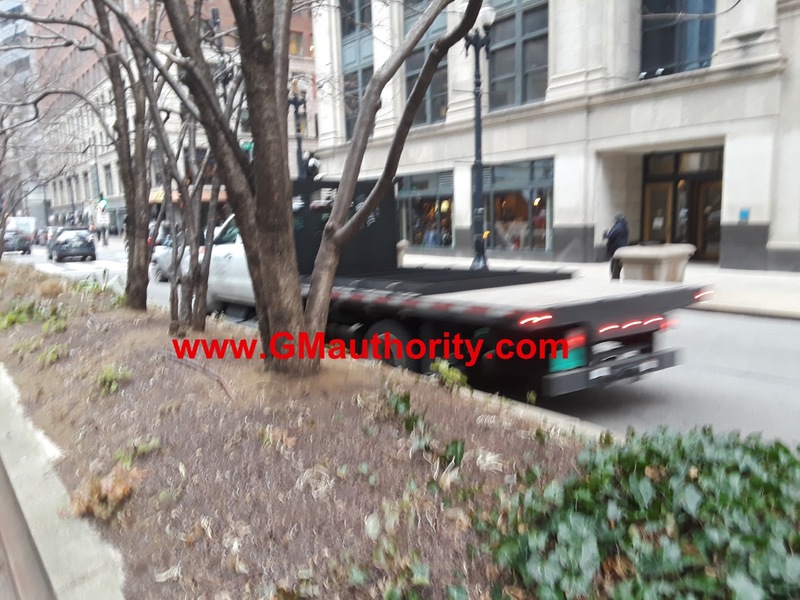 GMC will not be getting the medium duty trucks. The 4500 needs a pickup bed but 5500 and 6500 wouldnt have any demand for a bed. Best to let Monroe and other upfitters handle the bed building. 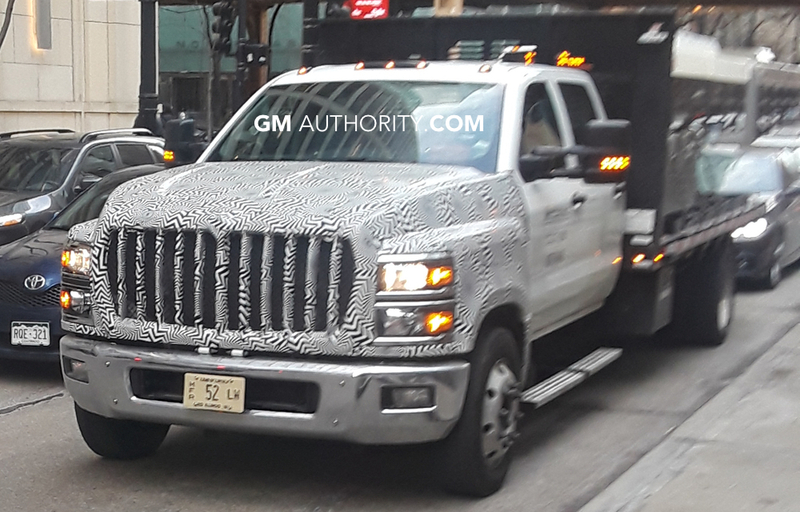 It made more sense that there wasn’t a GMC version before the unveiling of the 2020 Silverado HD. 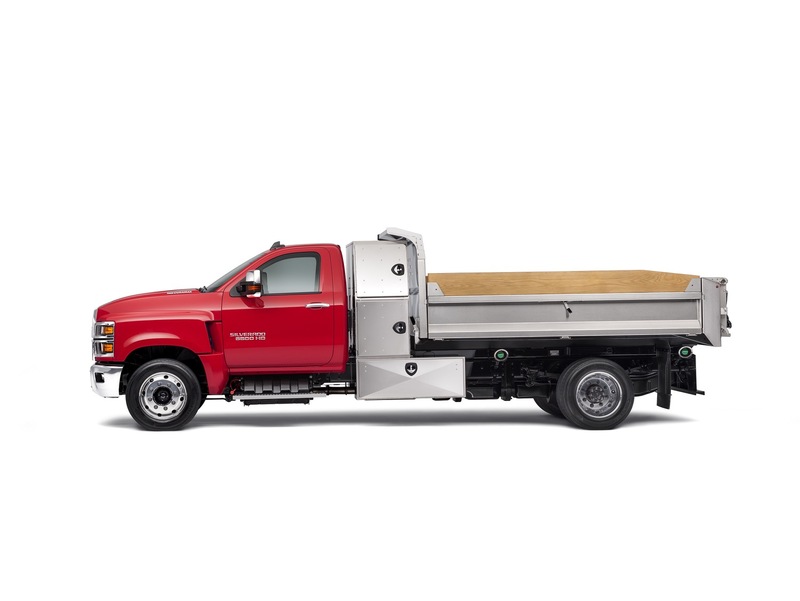 The 4500 and up are good looking trucks, and the 25-3500 are awful looking in work truck form. 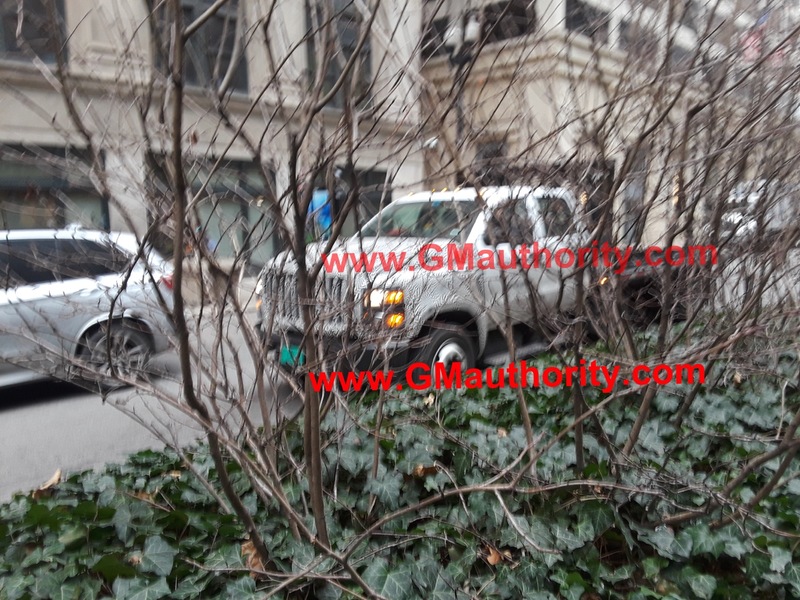 Now if you want to get a good looking typical fleet that would mean mixing GMC and Chevy. 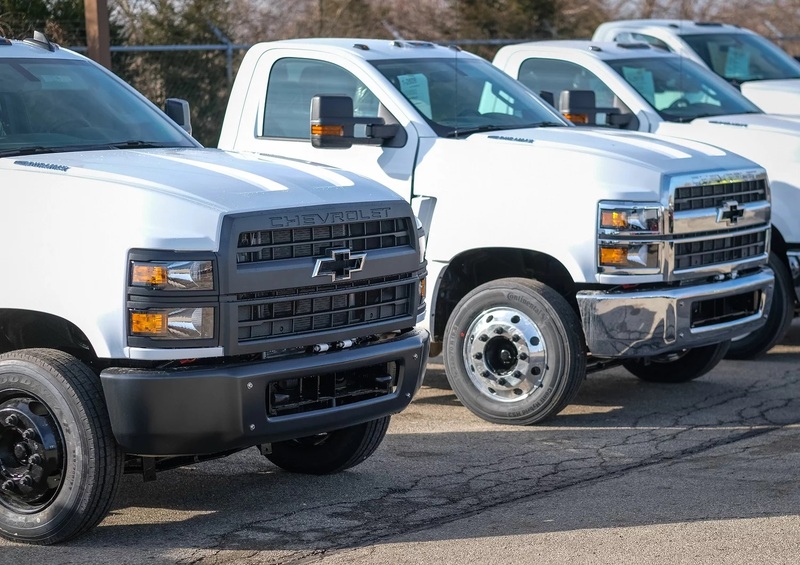 I can honestly see buyers turning away from Chevrolet fleet 2500 and 3500s, and then not having a foot in the door at the Chevy dealer and ending up with a fleet of F-350s and F-550s, skipping GM altogether.